Chronic pain conditions affect more than 116 million Americans daily, and costs Americans $560 to $635 billion, according to a report from the Institute of Medicine. Chronic back pain is a common and constant struggle for many Americans. Unfortunately, many people who suffer from it are not managing their pain effectively. Avoid these common mistakes when creating pain management plan for your chronic and persistent back pain. Your doctor can be the keystone in managing your chronic back pain. Your general physician can also refer you to a pain specialist that can assist in finding the root cause of your pain. Staying proactive instead of reactive is important in managing your day to day pain and can greatly increase your quality of life. Trying to handle chronic and persistent pain through self-medication can lead to feeling hopeless and alone.Reach out to your physician they want to help you create a plan. Pain medications can be an important part of a pain management plan. They cannot, however, be the entire plan. Taking pain medicine daily without other methods of pain management (such as massage, counseling, chiropractic therapy, physical therapy, yoga, physician designed stretching, etc.) is like putting a band-aid on an infected cut each day. Sure it helps some, but you aren’t really solving the problem. This is only a temporary solution. Work with your doctor to create long-term pain management goals that include eliminating or reducing the use of pain medication. If you don’t do your homework prior to visiting your physician it is going to be hard for you to remain an active stakeholder in your health. Research multiple solutions and pain management techniques to discuss with your doctor. When you do your homework, you will have a more clear vision of what you want your pain management plan to look like. Your doctor can work with you and provide options more fit to your plan. This mistake is easy to make and it can be detrimental to your mental and physical health. It is important when managing chronic daily pain to stay positive. However, if you are holding on to the idea that you will be ‘cured’ of pain with no remaining symptoms you will almost always be disappointed. For some, the pain never fully subsides. A pain management plan is just that- a plan to manage the pain not cure it completely. It will be a living breathing plan that will naturally change as your body and pain changes. Be realistic and ask your physician to help you manage your expectations by setting realistic goals with you. 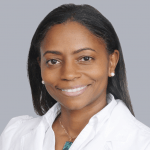 Ingrained with a passion to help people since the early years of grade school, Dr. LaKiesha Crawford is a pain management physician with the Texas Pain Relief Group.